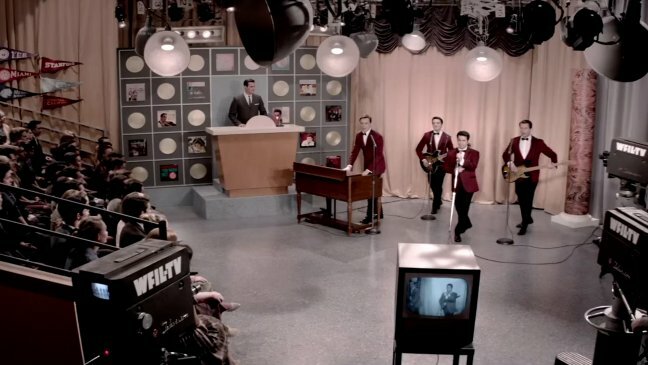 Based on Marshall Brickman and Rick Elice’s worldwide smash hit musical, the Jersey Boys movie promises to fill in some of the finer detail that the multi-award-winning stage show can’t portray. The story of how little Frankie Castelluccio and his buddies from the New Jersey projects became world-wide music stars is the classic rags to riches tale. What is less known is the far from lily white background of the band and their frequent brushes with not only the law, but with the Mafia (oh and there’s Joe Pesci – yes that Joe Pesci, too). Those familiar with the stage musical might be slightly disappointed that it is the back story that is key here, rather than the music, that said, it sticks faithfully to the show’s script and provides welcome detail that illustrates just how incredible it was that these apparent no-hopers actually made it. It lacks some of the irresistible immediacy that the stage show delivers: in the theatre it is nigh-on impossible to remain immune to the lure of the band, on the occasions I’ve had the pleasure of seeing it, the audience, to a man, have been on their feet dancing and singing their hearts out (something you can’t exactly do in a movie theatre). 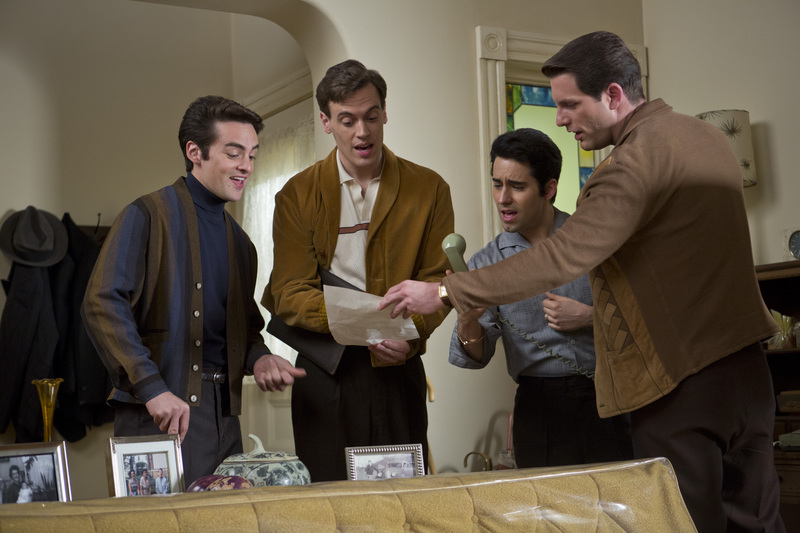 The movie’s biggest strength is its cast; the performances are universally top-notch, John Lloyd Young, the original and Tony Award-winning Frankie Valli onstage, delivers both vocally and emotionally in his portrayal of Valli, he is ably supported by fellow Jersey Boys the Musical alumni Michael Lomenda (Nick Massi) and Erich Bergen (Bob Gaudio) and Boardwalk Empire’s Vincent Piazza who turns in a stellar performance as band founder and mini-mobster Tommy DeVito. It is first and foremost a thoroughly entertaining biopic, filled with first-class performances, not a recreation of the musical but a welcome accompaniment to the wonderful stage show. If you’ve seen the show go along for the extra detail, if you’ve never seen the show make sure you catch it when it embarks on it’s first ever national tour this autumn.